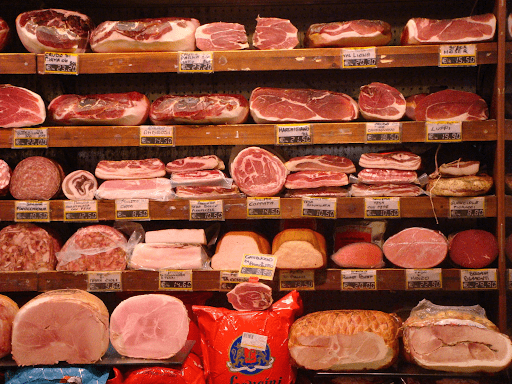 It’s no secret that our meat consumption worldwide is getting out of control. Each year, 56 billion farmed animals are slaughtered for food purposes, much of which ends up being thrown out and wasted due to expiration dates. Meat is a tricky food to harvest and transport, not to mention the short shelf-life that most meat products have in grocery stores. The entire process of raising the animals, feeding them, and finally butchering them comes at a cost, and not just a monetary one. Our planet is suffering. Globally, animal agriculture produces more harmful greenhouse gases than all of the planet’s transportation systems combined. The methane levels given off by all of these animals during their lives, as well as their journey from farm to table, are insane. One potential solution? Lab-grown meat. At first thought, it seems wrong, maybe even disgusting. How can something tasty, let alone edible, come from the cold and sterile environment of a lab? Strangely enough, it can, but not until the substance has gone through a process of cell manipulation and nourishment. 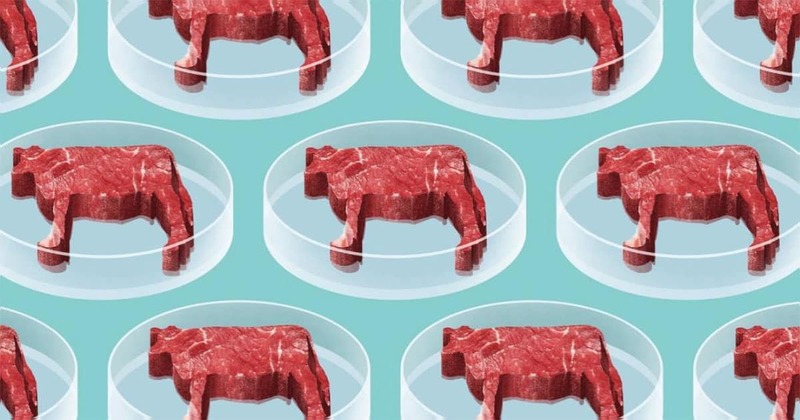 Scientists are starting their work with a main goal in mind: producing real, edible meat without the excessive greenhouse gasses that we are currently battling, and simultaneously sparing the lives of millions of animals. They’re taking samples from the muscles of live cows, and feeding them a nutritious meal of culture medium to encourage the muscle cells to keep growing. The conditions are extremely controlled in order for the cells to do what they’re supposed to do, which is increase the fibrous cells that contribute to the “meaty” texture of the culture. Basically, the scientists are tricking the cells into staying alive and multiplying, despite not being inside of the actual animal anymore. In theory, this means that just one single cell from the muscle of a healthy cow can be used to grow an infinite amount of meat. Also known as “cultured meat,” these lab-grown protein powerhouses are seriously stirring up the world of cuisine. Arguments are being made that lab-grown meat can serve as a healthier alternative to traditional meat, seeing as it’s non-GMO and the amounts and types of fats in the meat can actually be added or omitted, based on the scientist and personal preference. 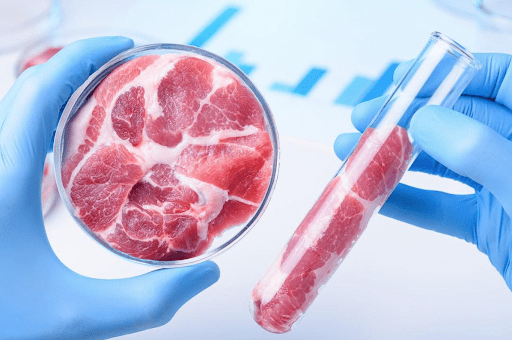 By growing meat in a lab, the risks of foodborne illnesses are also greatly reduced, because the meat never comes in contact with the intestines of the animal, where most of the bacteria lives. No growth hormones or antibiotics are needed either, thanks to the sterile environment of the labs and the absence of raising and caring for the animals themselves. But what does this all look like? It’s not easy to wrap your head around the idea, but the results so far have been pretty satisfying, and the experiments don’t end at cow meat. Josh Tetrick, CEO of Just, has put his scientists/chefs to work on creating some deceivingly good meat alternatives, all grown within a kitchen-like lab. On the menu is lab-grown foie gras, which Tetrick claims really does taste like foie gras should. Technically, it is foie gras, but not in the traditional sense. Instead of forcefully feeding a duck or a goose high-fat foods until its liver becomes 10 times the normal size, this foie gras comes from cultured cells. So, you’re not sacrificing taste or an animal. When Will I be Able to Buy It? Right now, we’re not seeing shelves being stocked with these environmentally-friendly meat alternatives, mainly because of the cost. The first lab-grown burger patty by Dutch scientists cost a whopping $330,000, and in 2016, Memphis Meat made the first ever lab-grown meatball, weighing in at $18,000. The time, the effort, and the science is not quite ready for mainstream demands, but it’s getting there. Estimations are being made that lab-grown meats may hit the supermarkets as soon as the end of 2018. However, we may be in luck here in Seattle. Seattleites could be some of the first not only to taste lab-grown meat, but to also produce it. With the abundant natural resources at our region’s disposal, lab-grown meat ingredients would be readily available. Pair that with all of the brilliant minds behind the tech start-up scene, and you’ve got a recipe for a lab-grown meat enterprise. According to Christie Lagally, a former Boeing engineer, Seattle (Washington State in general, really) can supply all of the engineering minds and the necessary natural ingredients to really get this industry growing. “What we’re looking for in the food industry, as opposed to previous applications of bioengineering or biomedical research, is volume,” Lagally says. It’s less about the experimentation phase, and more about execution to make lab-grown meat a norm. It's only a matter of time before the supply catches up to the demand and lab-grown meats become affordable for all. Whether the public actually takes to the idea is a whole different game. Sure, the food may taste the same, feel the same, even look the same, but the concept is proving pretty difficult to swallow for some consumers. To help combat the negative connotations, scientists and chefs have decided to market the lab-grown meat as “clean meat,” as it may be healthier and is certainly more humane for animals. As of now, the FDA is considering how to regulate clean meat so that it can be sold nationwide, and hopefully serve as a tasty alternative to your typical hamburger. In the upcoming months, stay on the lookout for clean meat. While there isn’t a definite timeline, local start-ups are starting to mention implementing clean meat into their business models over the next couple of years, pending FDA approval. Keep an open mind and an empty stomach, and don’t knock it till you try it. 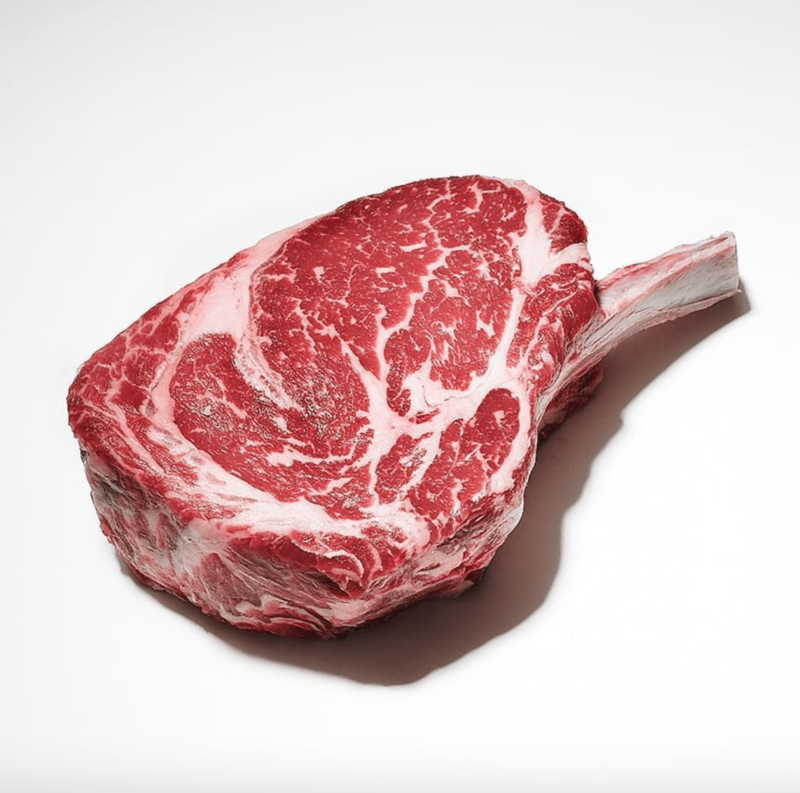 Lab-grown steak may become a weekly staple for you.